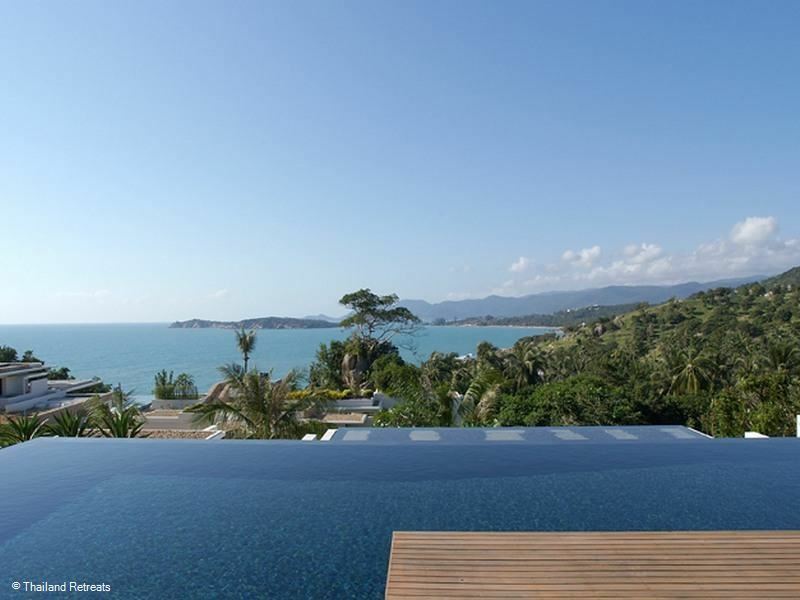 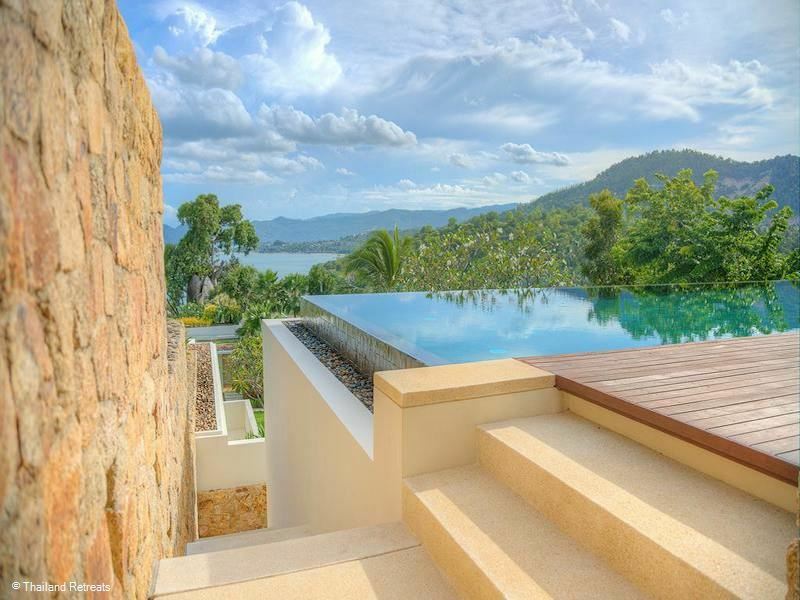 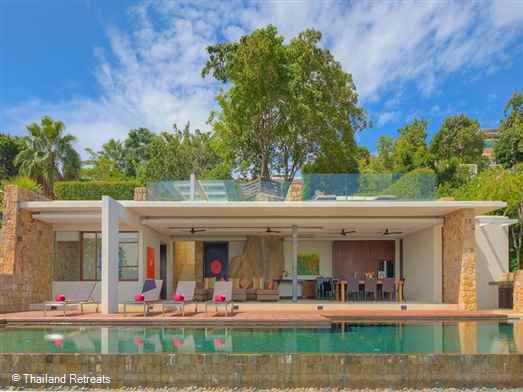 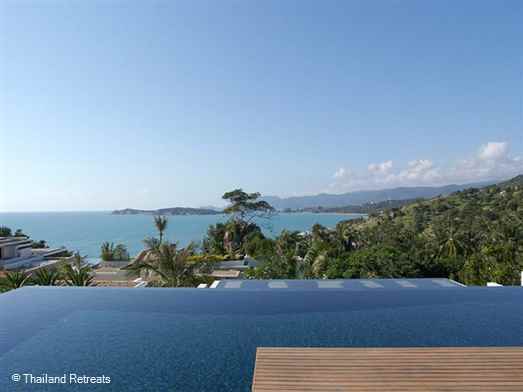 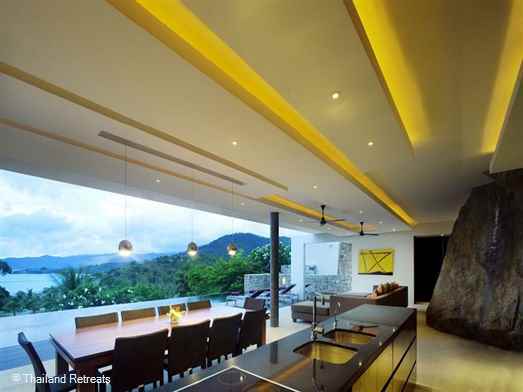 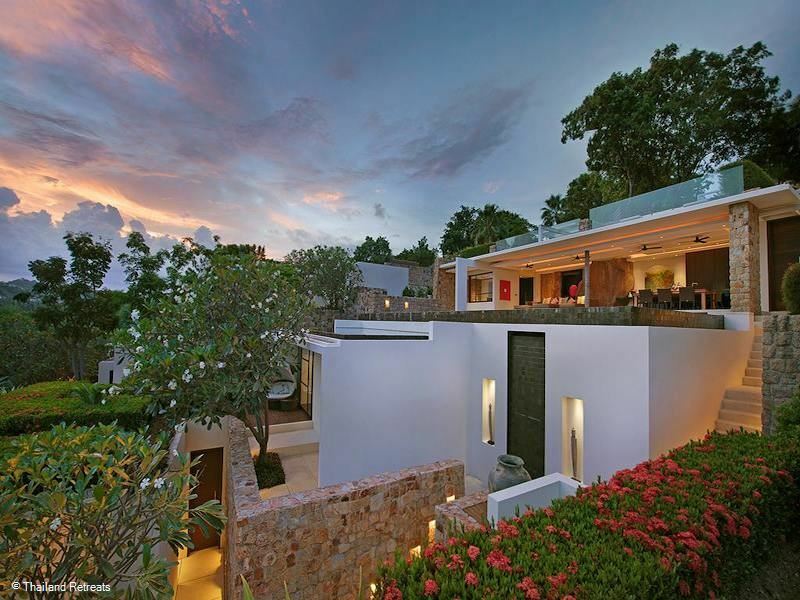 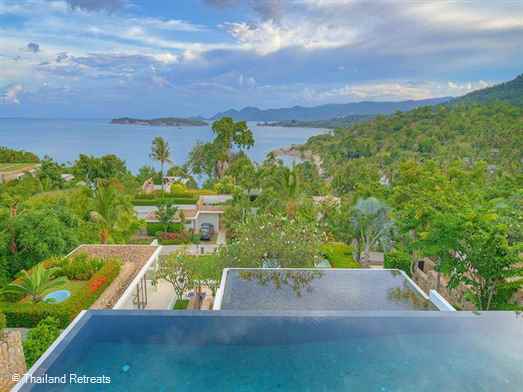 Samujana Villa 15 is a contemporary design 4 bedroom luxury villa with black slate infinity edge pool offering stunning views down the east coast of Koh Samui. 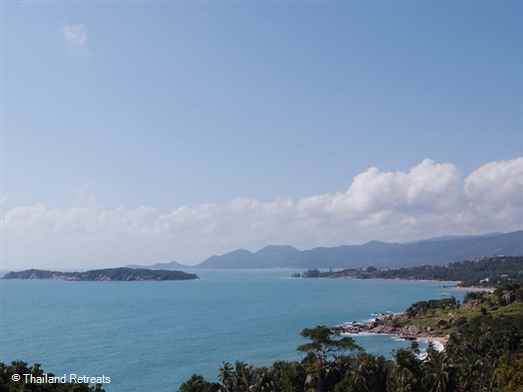 Close to Choeng Mon beach and lively Chaweng. 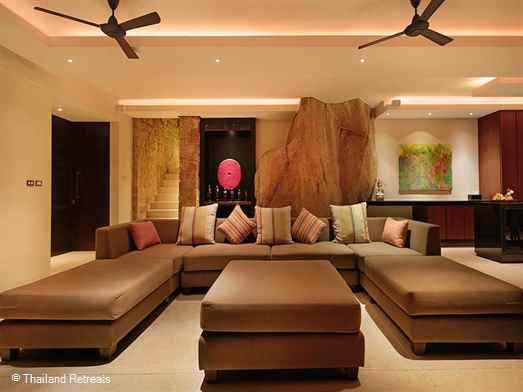 Perfect for chilling out with family and friends. 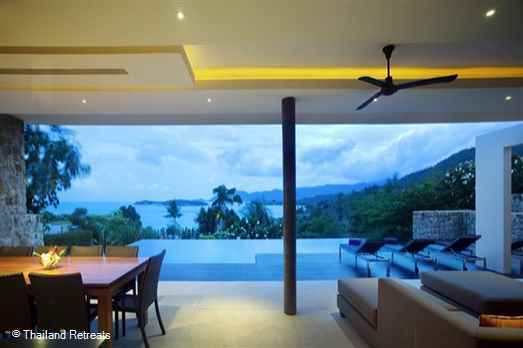 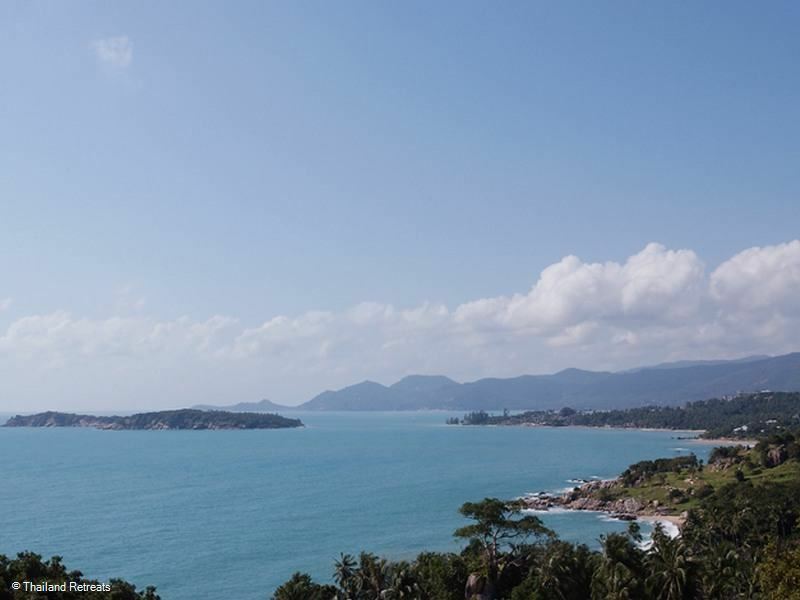 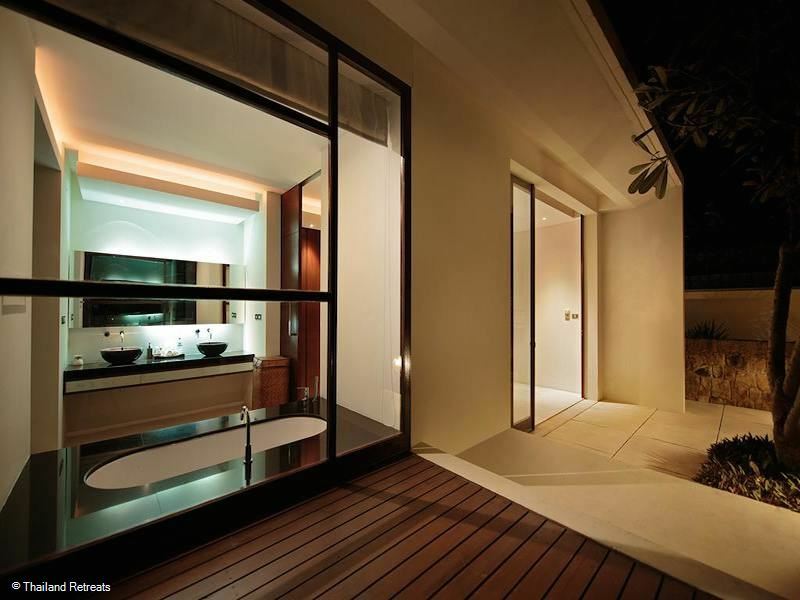 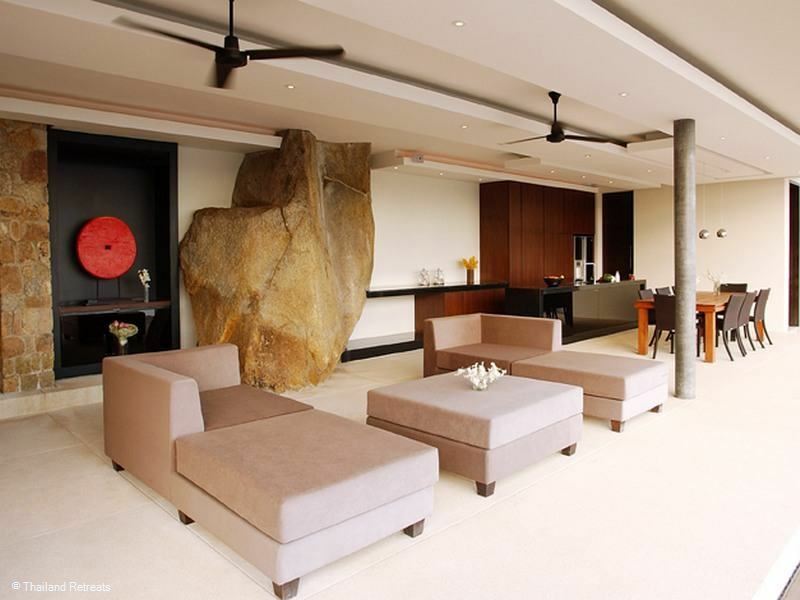 Samujana 15 is part of a contemporary, secluded development on Koh Samui's northeast coast and offers the ultimate in luxury tropical living. 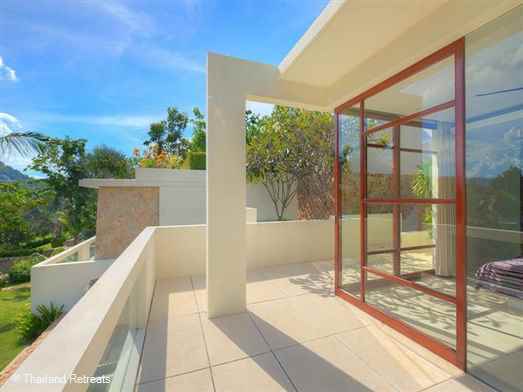 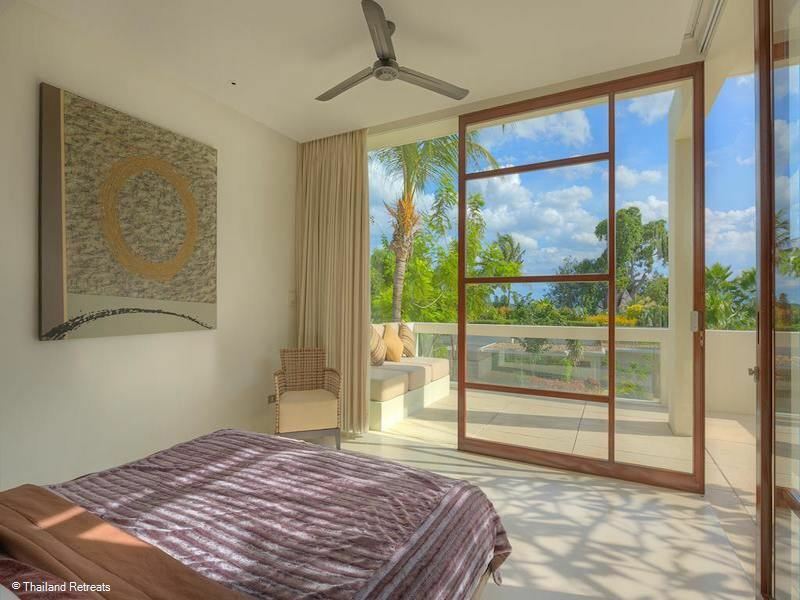 Designed by an award winning architect, the four double bedrooms feature minimalist designs with floor to ceiling windows that open onto expansive private terraces. 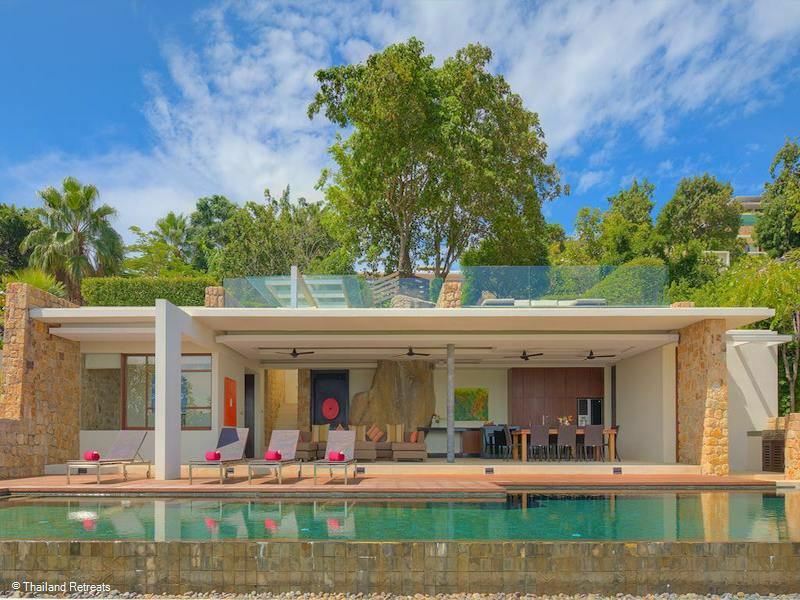 The generous, open plan living space is ideal for families or groups of friends and overlooks a 20-metre black slate infinity pool surrounded by expansive teak wood decks, perfect for sun lounging. 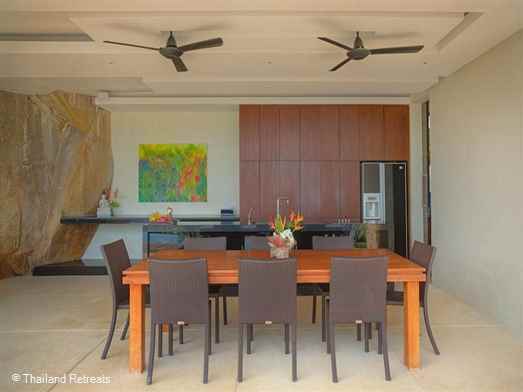 This open sided living area is cooled by ceiling fans and the cool breezes. 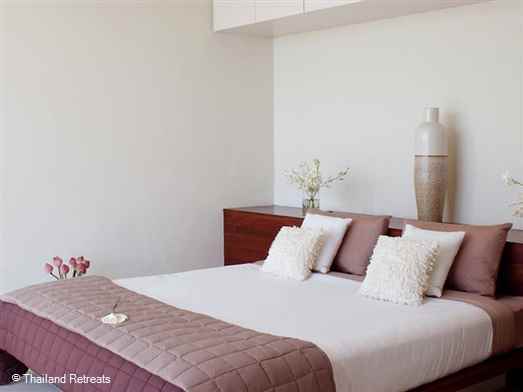 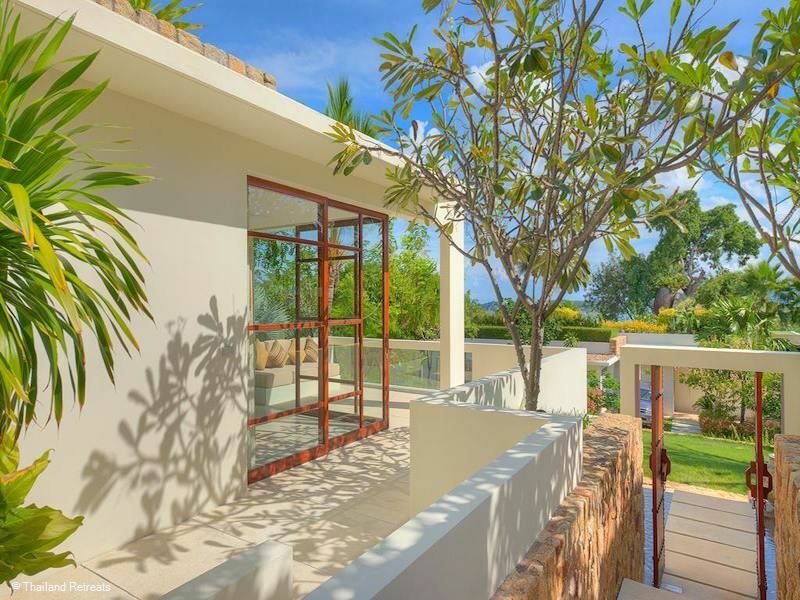 For work or play, the villa has a dedicated entertainment room with flat screen satellite TV and DVD, a study with panoramic sea views and wifi internet throughout. 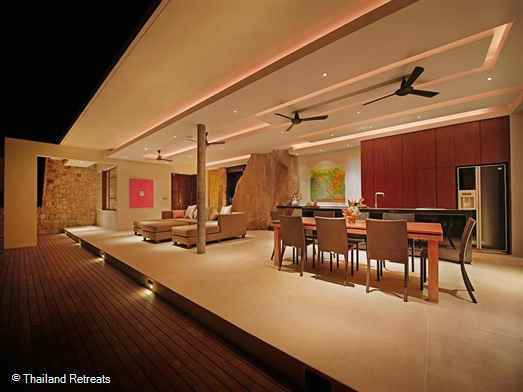 A large sofa fronts the pool deck, and the outdoor dining area offers seating for 10 with a backdrop of tropical splendor. The master suites boast spacious adjoining bathrooms with recessed, raised bath tubs, twin stone washbasins and separate black-tiled wet rooms with shower and toilet. 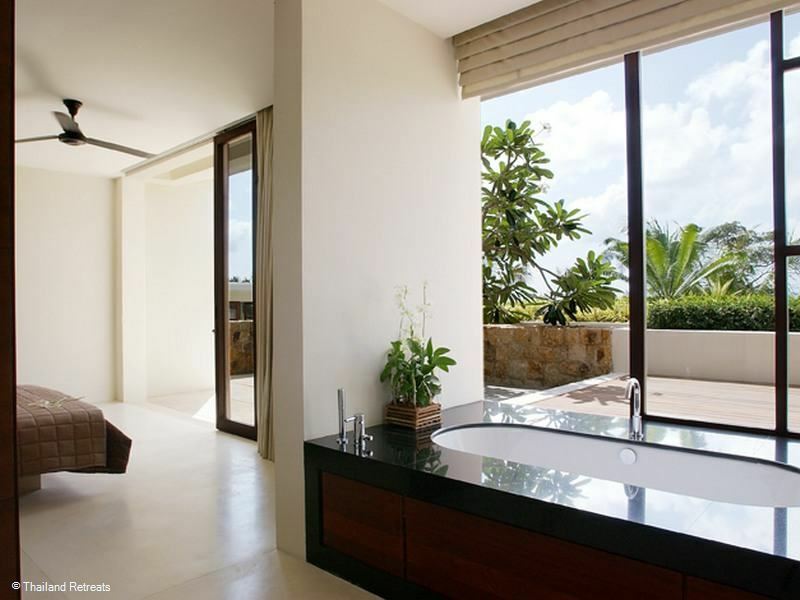 All have stunning views with balconies. 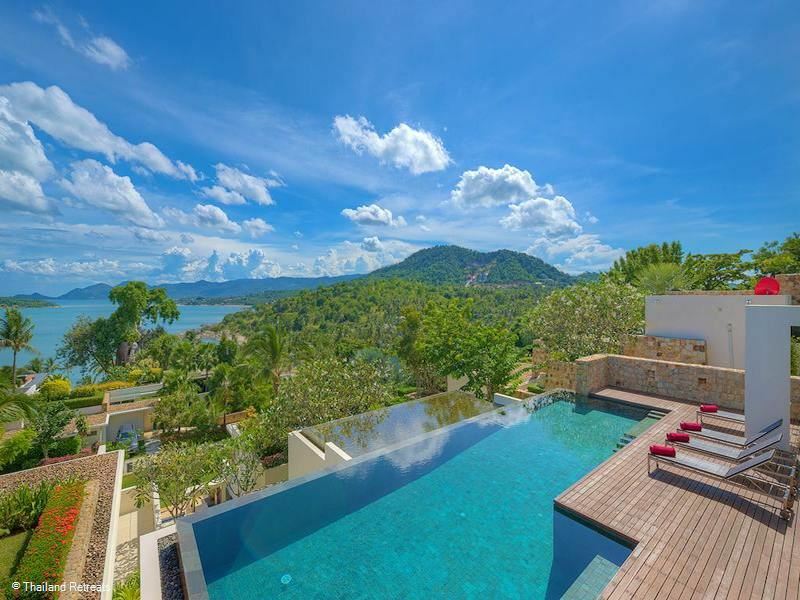 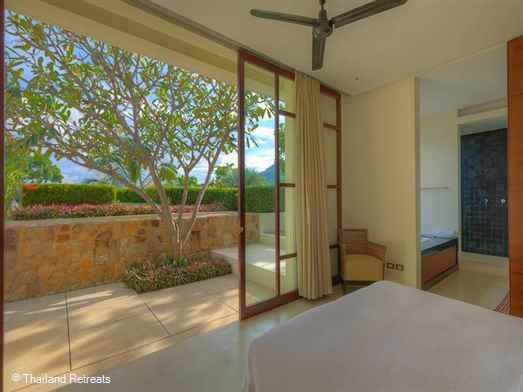 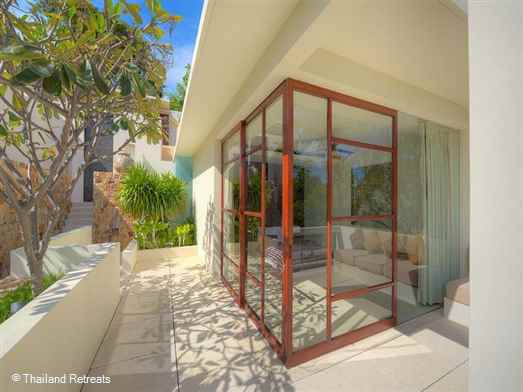 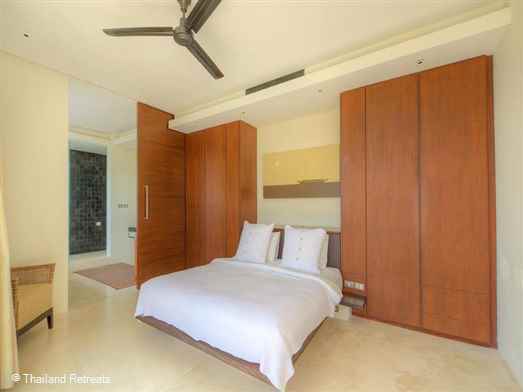 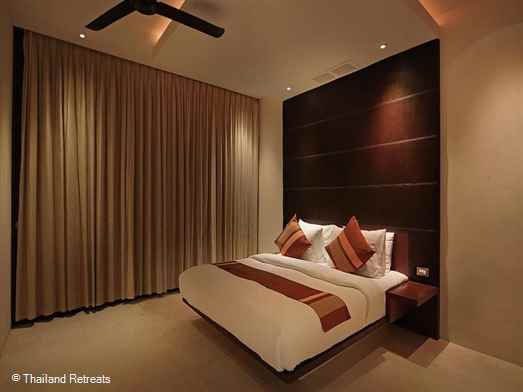 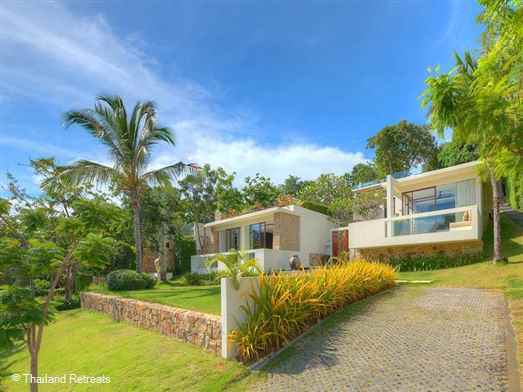 This well appointed villa comes with live-in staff in separate quarters, a chef's kitchen (with a personal Thai Chef on request), a BBQ area and private parking.